Fill out the form with any questions or inquiries you have for the sales consultants at Meadows. You can also call or chat with us for immediate responses. At Meadows, everything you need to make the most of life in Peoria is within reach. Featuring thoughtfully designed new homes for sale in Peoria with impressive amenities including a community center with a pool and recreational game areas. Home designs at the Meadows create a light and airy environment that incorporate the beauty of the surrounding Sonoran Desert. The life you want to live is waiting for you at Meadows. Explore this community and see for yourself. The Salerno is a thoughtfully designed single-story new home for sale at The Meadows in Peoria with options to tailor your new home layout to your needs. The Parklane at The Meadows in Peoria, AZ features open kitchen and options to personalize like the Pulte Planning Center and expanded kitchen pantry. The Ravenna is a single-story new home for sale at The Meadows with an open kitchen overlooking the great room, over-sized pantry, and both a casual and formal dining area. The Novara at The Meadows in Peoria, AZ offers an open design concept with a number of options to personalize your new home. The Messina at The Meadows features a two-story gathering room, adjacent to the kitchen and has plenty of storage in the 4-car tandem garage. As soon as you arrive at the Meadows in Peoria, you are home. 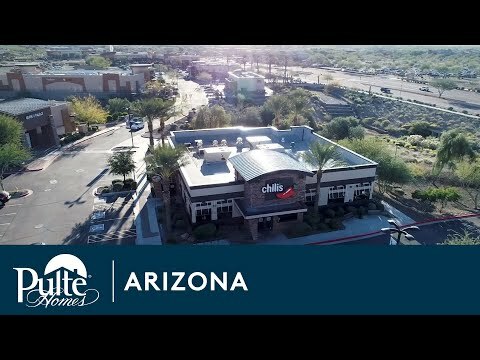 This vibrant community welcomes you with year-round sunshine, a family-friendly environment, a breathtaking Sonoran Desert setting, and luxury homes for sale in Peoria. Featuring home designs with expansive patios the Meadows is the perfect place for entertaining your guests. Meadows is located in a desirable North Peoria neighborhood close to transportation, employment, shopping, entertainment and desirable schools. Just beyond the master plan community you’ll find Lake Pleasant Town Center, Arrowhead Mall, Arizona Broadway Theatre, and Peoria Sports Complex. Take advantage of the expansive community parks and trails or spend your days hiking the Peoria Regional Preserve. At Meadows, there are endless opportunities to create memories, stay active, and have fun.